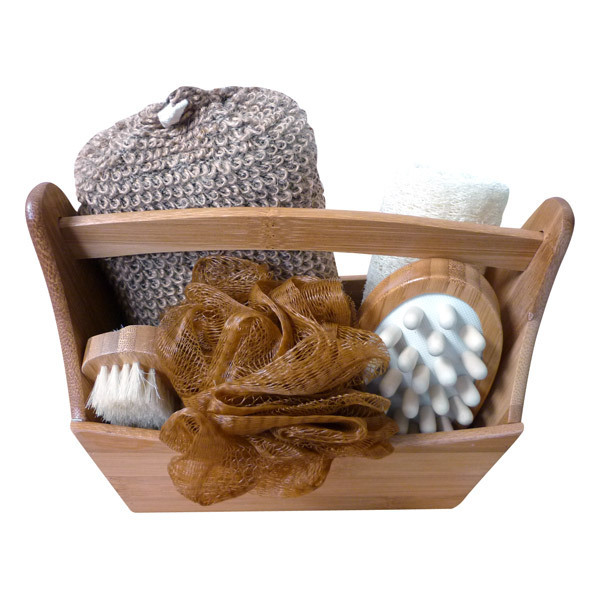 The Bamboo bathroom set is the perfect gift idea, it has everything you need for a little pampering session! It contains a linen face glove, bath sponge, anti-cellulite brush, nail brush, a mirror and a hairbrush. Made in Germany. - Packaging: Bamboo bucket with wooden handle. Croll & Denecke provide high-quality and sustainable products, made from carefully selected raw materials (sisal, sea sponge, loofah, bamboo, natural wood etc…). The company specializes in processing raw natural sponges with materials from the Mediterranean and the Caribbean. Croll & Denecke uses the natural materials to create several bathroom accessories like the original natural bath sponges, wooden basins and bath brushes etc. The careful and sustainable treatment of the raw materials from the sea, using traditional methods, is an integral part of Croll & Denecke business philosophy. All natural raw materials are stustainable and carefully treated. This family business favours the use of wood (including bamboo) for the manufacturing of their, sauna, bathroom and other beauty accessories. Products created for beauty care and care for the environment.